This was the original sketch I sent off. 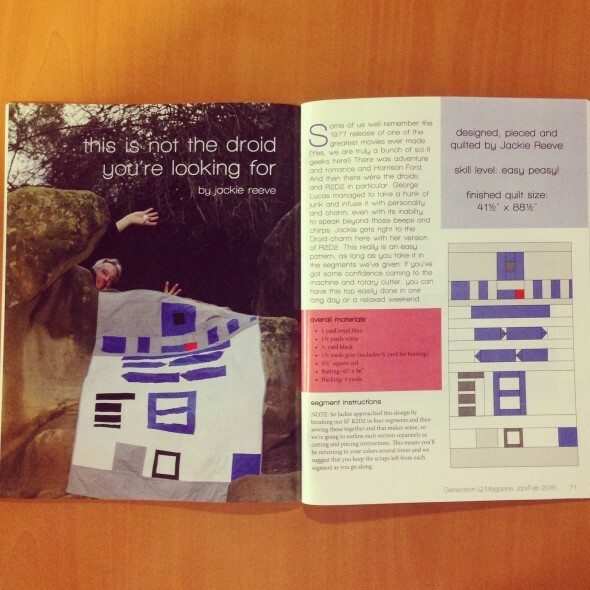 Once the magazine picked it I did some tweaking to get it just right, and to make it more obviously resemble R2. I have a much more detailed sketch of it, but I’m keeping that one to myself. I feel protective of that sketch, which is goofy. 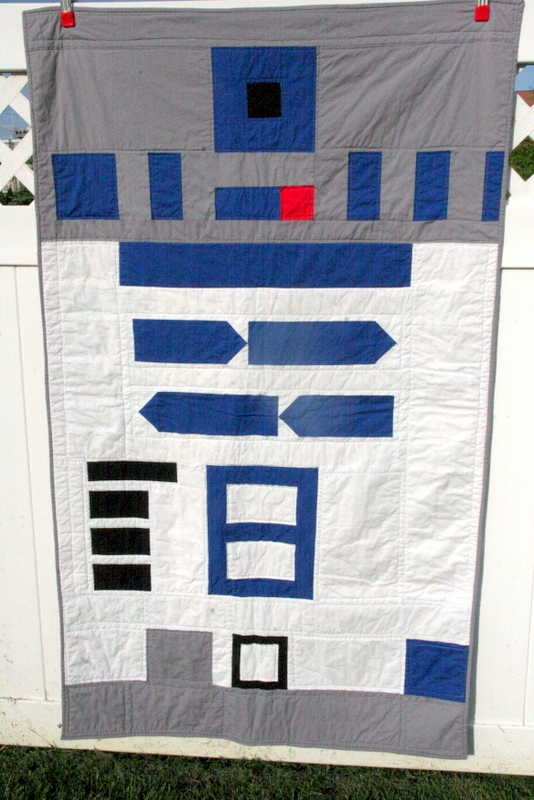 I don’t just like this quilt, I love it. See how nice and sunny and grassy it is in this photo? I shot this on May 20th, the day I finished and mailed it off to the magazine. Kind of a nice reminder on this below freezing January day. 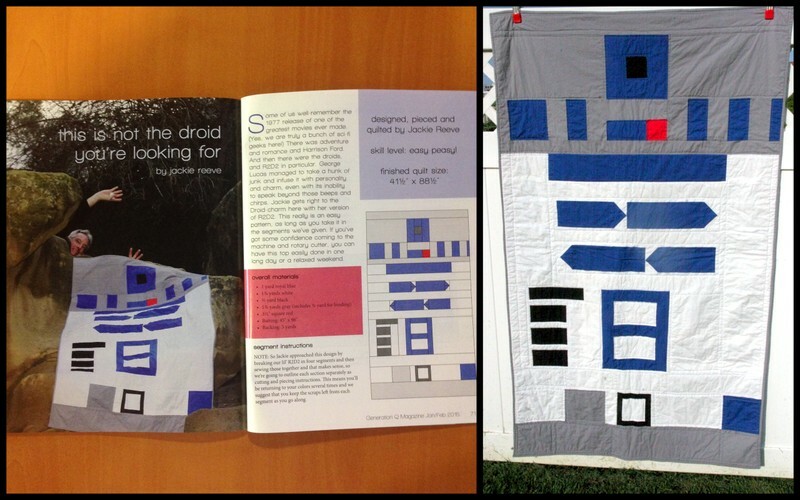 It’s so hard to see, but the quilting I did on the white parts of the quilt mimics the grooves and divots on R2D2’s body. I’m really proud of myself for this one. 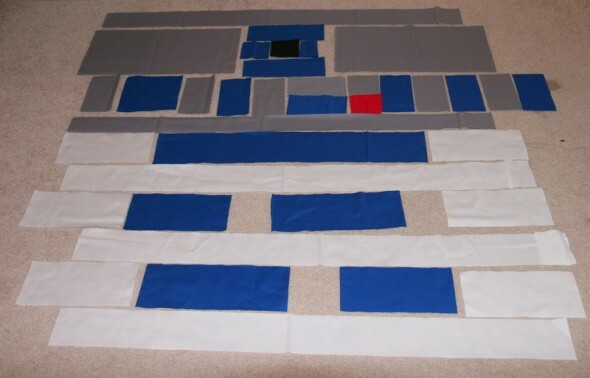 It’s actually an incredibly easy quilt to put together once you get your head around it. But for me it’s just the coolest thing to have doodled an idea a year ago, thinking no one would see it but me, and now there it is in a magazine. 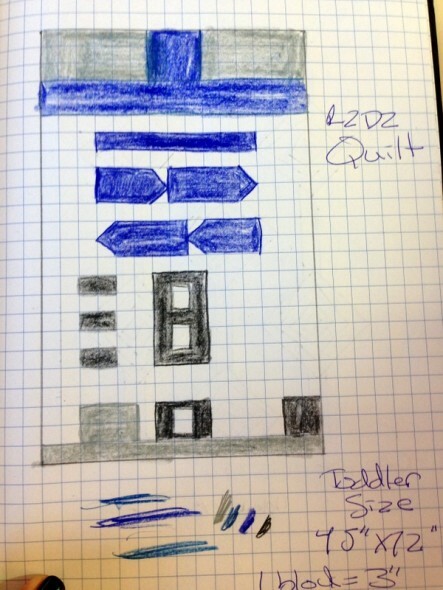 Can I buy this pattern? It’s the Jan/Feb 2015 issue, and it looks like it’s available for $5.